For the first time this Christmas, I've decided to participate in a few swaps ... well 3 to be exact ... and I think I might be a little addicted. I love to sew or craft for gifts, but to be able to create things and send them to a strangers and then to receive something lovingly handmade by another stranger is just something so lovely. I love the generosity of the gift-giving associated with swaps, as well as the chance to get to know new people from all over the world ... and seriously, who doesn't like to receive a package of handmade goodies in the mail. So, my first completed swap (even though it was the last one I signed up to only a few weeks ago) was the Pin Cushion swap hosted by Caroline of Sew Can She . This was a great last minute swap for me. Basically I signed up, and a few days later I received details of my secret swap partner. 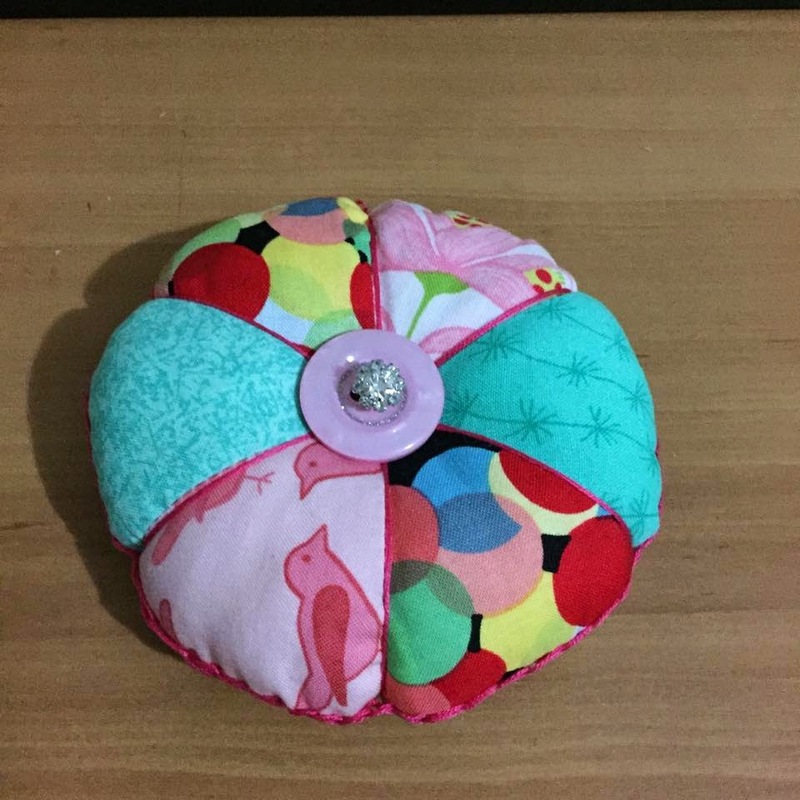 My partner is in the US, and I couldn't really find anything about her on the Sew Can She Sewcialites Facebook Group, so I decided I'd just make a pin cushion that I would like, and hope that she will like it too. I haven't heard that she's received it yet, but postage from Australia to the US at this time of year can take many weeks, so I'm sure she'll get it eventually! 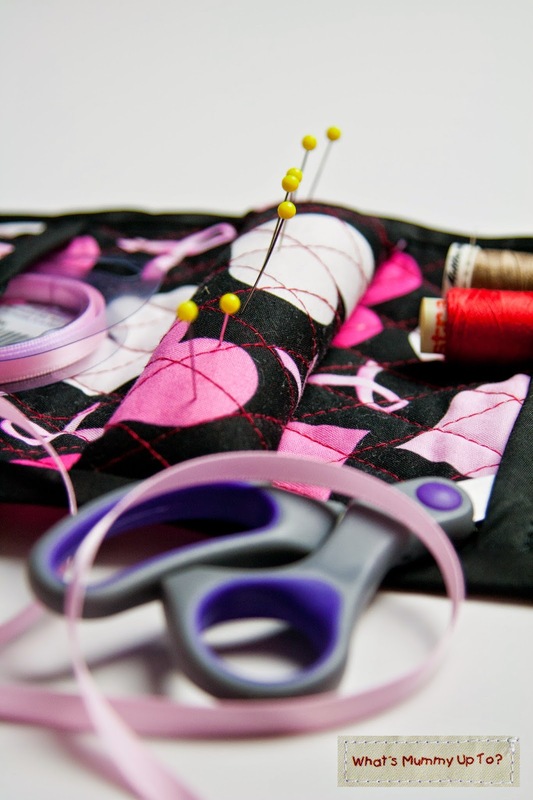 I decided on a Patchwork Pin Cushion, and used this Tutorial at Regina Lord of Creative Kismet. One of the things I love about using left over fabrics for a project like this is that you can squeeze in some gorgeous little pieces of designer fabric. I can never bring myself to throw out any decent sized pieces of fabric, especially any designer fabrics I'm lucky enough to own ... and this is the perfect way to use those little bits of loveliness! And, here's how my patchwork cushion came out (a huge apology for the dodgy lighting and iPhone pics ... I'm obviously a terrible blogger because I absolutely forgot to take decent pics on our good camera before I mailed this cushion off to it's new owner). I loved that I could use a few of my new-found embroidery skills on this cushion ... the seam around the edge is covered with a delicate chain stitch, and the patchwork seams are pulled with embroidery thread into the middle of the cushion to make it kind of look like a flower. Such a cute idea. I decided my cushion needed a little bling, so I used a sparkly button from my stash (left over from this project), on top of a plain pink button. I really liked how this pin cushion turned out, and it was so fun to participate in a swap that wasn't a huge commitment, but was still a fun little pre-Christmas project. 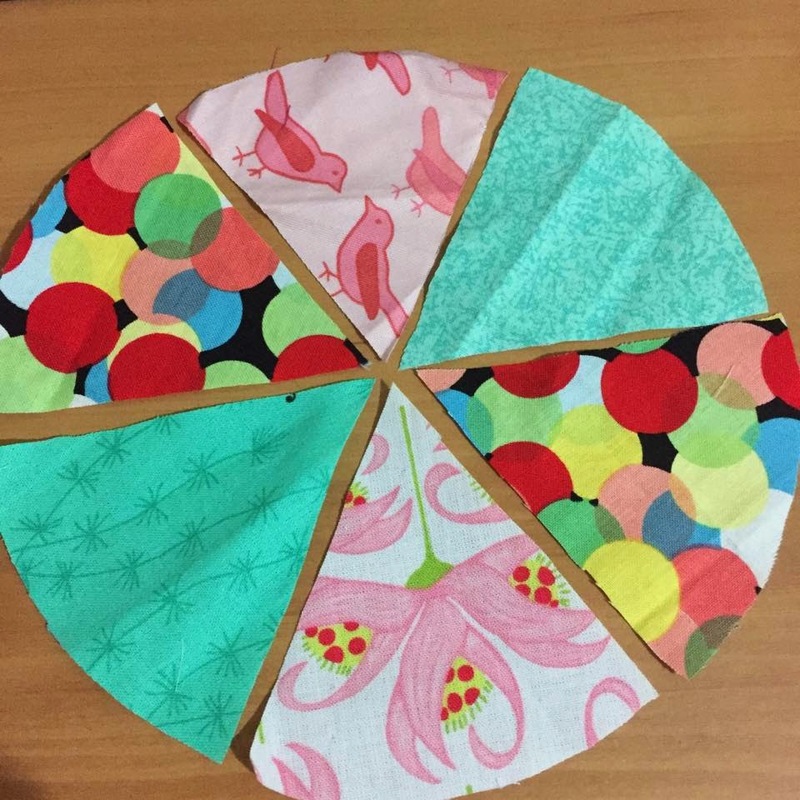 It's also been really great to be part of the Sew Can She Socialites Facebook page, which I was invited to join when I signed up for the swap. What a fantastic group of encouraging and incredibly talented ladies. 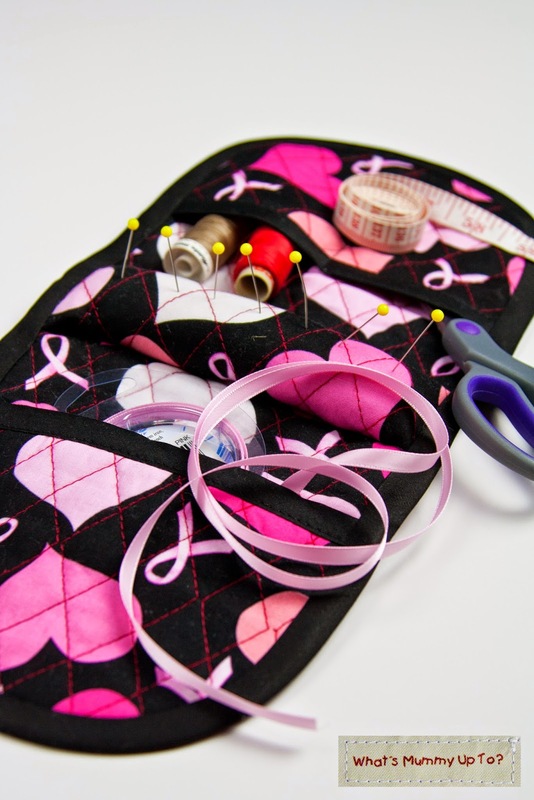 The pin cushions made around the globe for this swap have been absolutely amazing, and in a day and age when we hear of so much negativity on social networks, it's so refreshing to be part of a group that is so genuinely encouraging of each other. This has most definitely been a highlight of participating in this swap, and has really added to the warm-fuzziness associated with giving gifts to strangers. Thanks ladies! And then, just this week I received an amazing package in the mail from a lovely new friend. Karen from South Dakota (how cool is that!) sent me this amazing pin cushion with a difference. 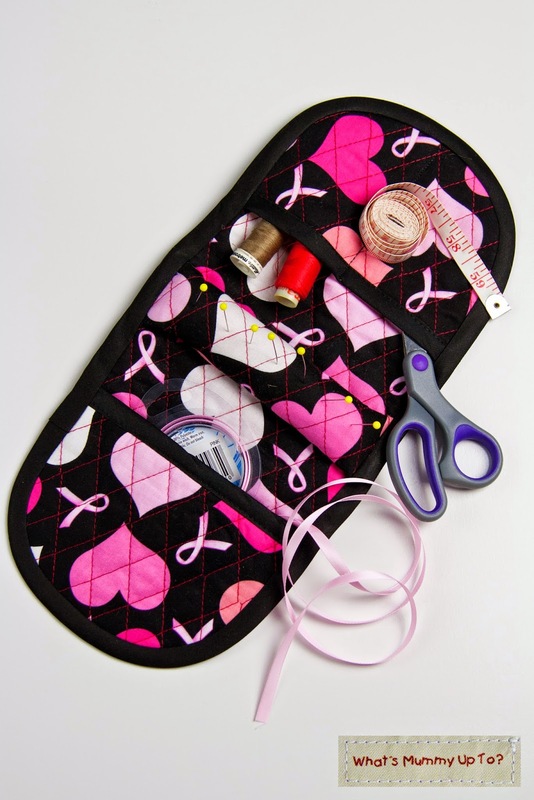 It's designed to hang over the arm of your chair/couch so that you can have pins at the ready while doing hand stitching or other projects in front of the telly or just wherever. 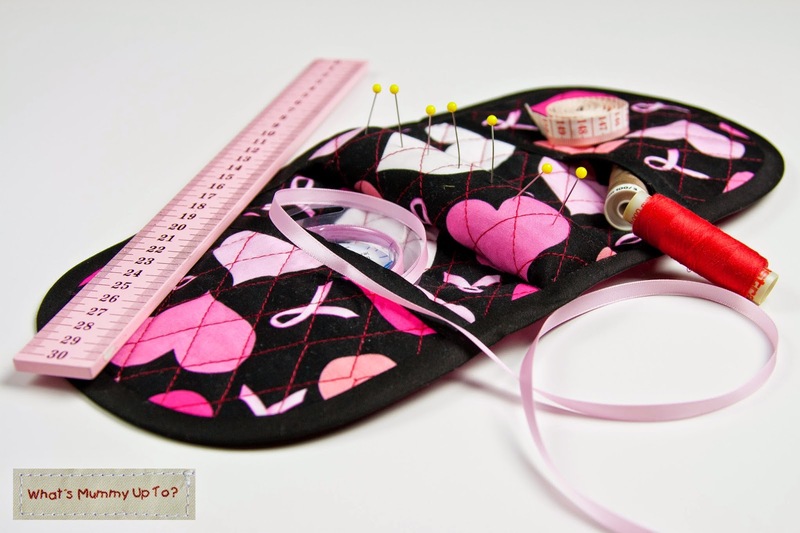 My favourite part is the little pockets at each end, just perfect for holding a crochet hook, or a little pair of embroidery scissors. I'm hoping to get stuck into a little bit of embroidery over our upcoming summer break, and this pin cushion has just arrived in absolute perfect timing! A huge thanks to Karen! And aren't the colours pretty! And the sewing is just perfectly flawless. Karen is one talented lady, and apparently she just copied the design for this from a pin cushion she has had at home for years. So clever! Anyway, I think I might be a little addicted to swaps, and will post about the other 2 I've participated in when they're all done. In the meantime, I'd love to hear of any swaps you've participated in that you'd recommend for me in future, or if you have hosted or are planning to host one that I might like. Feel free to email me or comment below to give me the details. I can see a good many more swaps in my future! So much swappy goodness to be had!